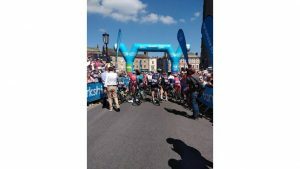 On the 14th June Peter Brookes and 5 friends (Judith King, John Phillipson, Neil O’Connor, David Shipman and Andrew Gilmore) are going to cycle nonstop from Killhope on the County Durham border to Belleek in Northern Ireland. A trip of 130 miles to Stranraer before crossing by ferry to Belfast and c ompleting the remaining 100 miles to Belleek on the border with the Irish Republic. A grand total of 230 miles! We will be supported on the ride by staff from the North East Autism Society, Michael King, Carol Ashton and Fleet Financial from Belfast. 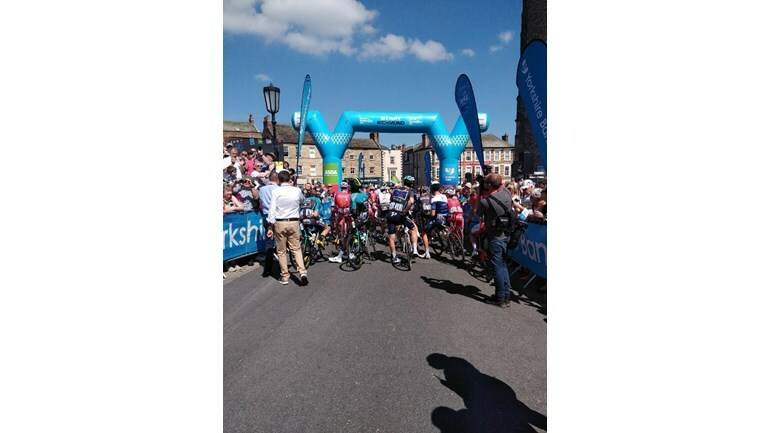 They are doing it to raise funds for the British Legion which is the chosen charity of the Chairman of Durham County Council – Councillor John Lethbridge. This is a particularly relevant cause given that this year is the 100th Anniversary of the end of the 1st World War. So please dig deep and donate what you can, every little helps! JustGiving sends your donation straight to The Royal British Legion and automatically reclaims Gift Aid if you are a UK taxpayer, so your donation is worth even more. You can also help us by sharing their Justgiving page with your family and friends. 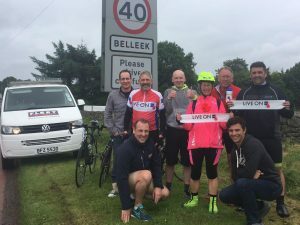 The riders made it to Belleek in Northern Ireland on the border with the Republic in 20 hours 17 mins cycling time! 243 miles in total. Just Giving page still open if anyone would like to give a donation to the British Legion.